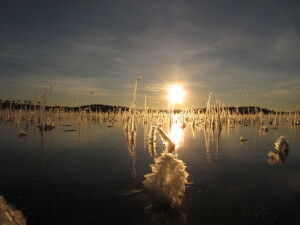 Lake Skottesjön is situated in Dalsland close to the Norwegian border. 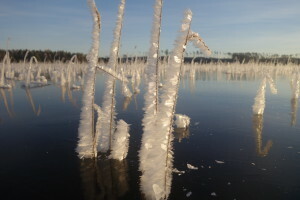 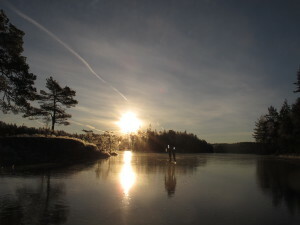 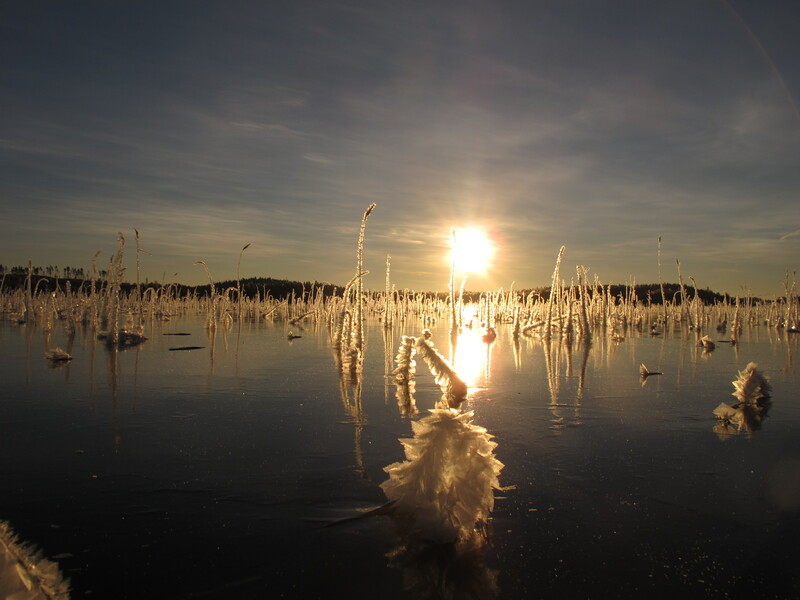 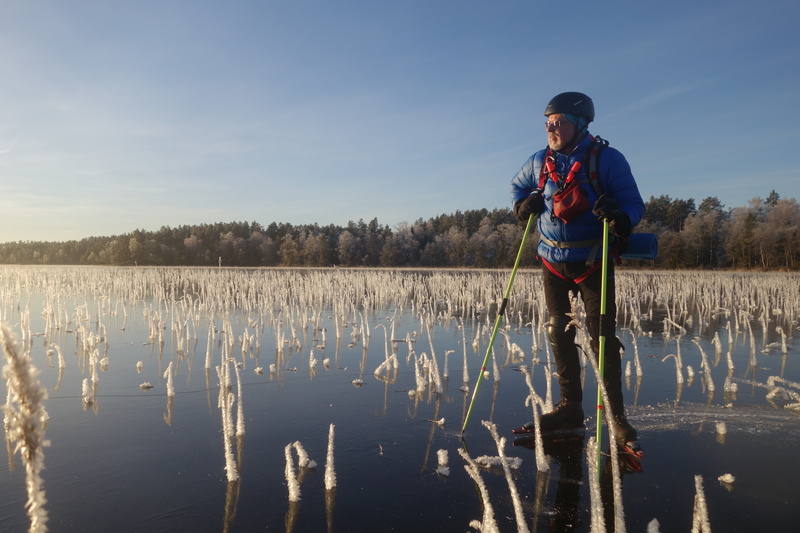 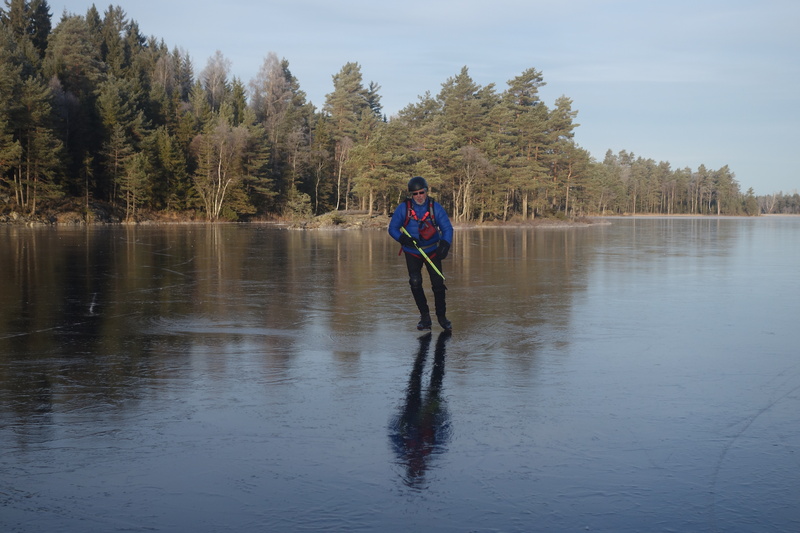 The lake is very shallow and freezes very early – an ideal lake to start the skating season. 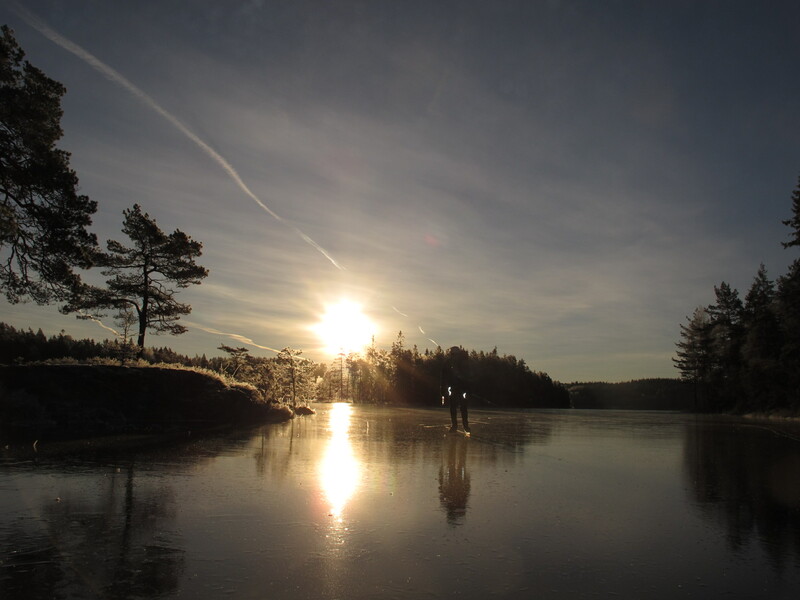 We met the sun rising the 26 th December. 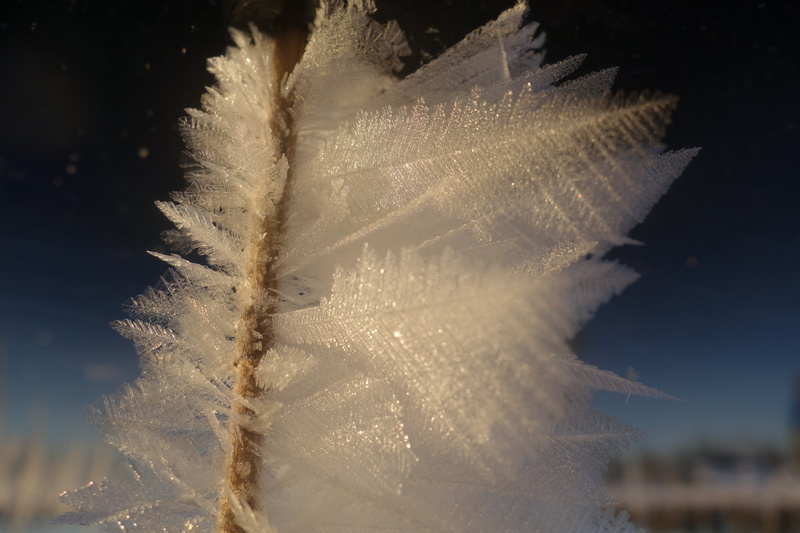 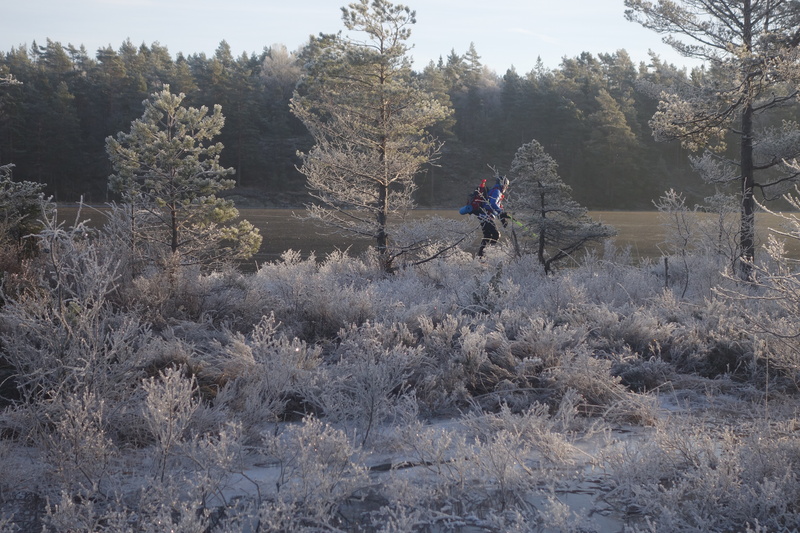 It was a magic, cold morning and we really enjoyed the scenery and the micro world that frost had created . Reed prepared to fly away.